| AsphaltPro Magazine | Do Your AC Tank Inspection Procedures Pass the Test? Do Your AC Tank Inspection Procedures Pass the Test? You’ve got to keep the liquid asphalt cement at a high temperature to make it move. 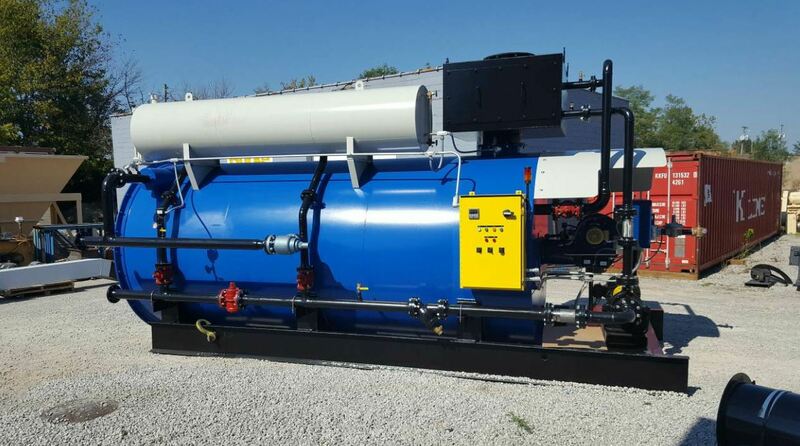 The Burke 5.0 Helical Coiled Hot Oil Heater has a capacity of 5 million BTU output to maintain heat for large terminal storage. Photo courtesy Reliable Asphalt Products. When it comes to liquid asphalt cement, AC isn’t like many other liquids. It’s kept at high temperatures and it just doesn’t flow the way other materials do; even when hot, it solidifies quickly once it hits the air. That’s why many of the regulations from past versions of the SP001 standards, developed by the Steel Tank Institute/Steel Plate Fabricators Association, just didn’t work when it came to AC storage. As part of the Environmental Protection Agency’s Spill Prevention Rule (SPCC), owners and operators of facilities with tanks containing asphalt cement (AC) must have a tank inspection program, including periodic inspections and integrity testing. A chief goal of the webinar was to help attendees understand the specific requirements associated with an AC tank inspection program under SP001. Here’s an overview of how to prepare for and perform an inspection of your plant’s AC tanks. 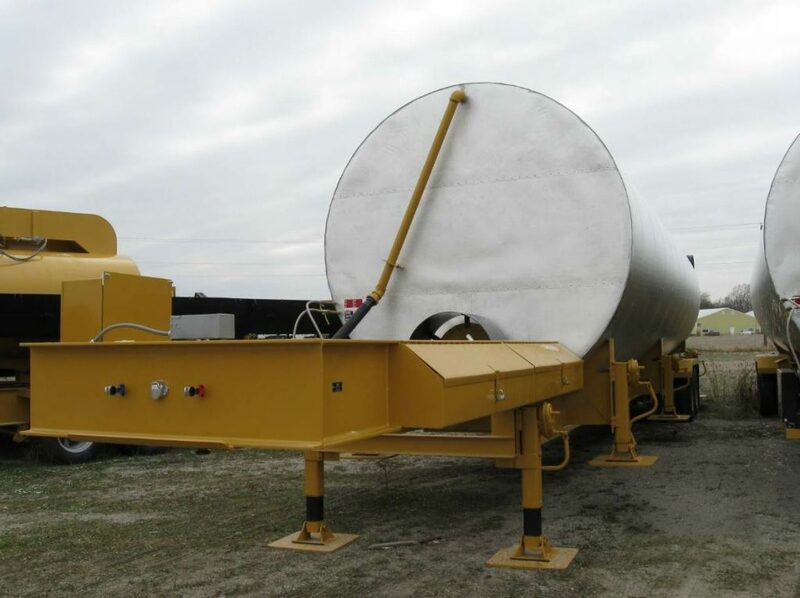 The liquid asphalt cement tanks from Asphalt Drum Mixers (ADM), Huntertown, Indiana, are designed with a serpentine coil arrangement to provide a heat exchange area of more than 1,200 square feet. The tanks are constructed with heavy-duty steel, fiberglass blanket insulation and a stucco-embossed 0.016-gauge banded aluminum jacket to protect the tank and prevent heat loss. Photo courtesy ADM. The age and capacity of your tank, as well as whether or not it has spill control and continuous release detection, will determine your inspection schedule. Continuous release detection is “a means of detecting a release of liquid through inherent design.” It must also be passive, meaning it does not require sensors or power to operate. Examples include release prevention barriers such as a dike, double-walled or double-bottom tanks, or elevated tanks with or without a release prevention barrier. “Spill control can be something as low-tech as having the driver be in attendance while filling the tanks,” Bigham said. The new inspections schedule rules divide tanks into categories 1A, 2A and 3A, depending on the level of risk associated with each kind of tank, and refer only to tanks containing a thermoplastic–which SP001 defines as “substances, such as asphalt cement, that are sold at ambient temperature and become molten upon heating”–heated above 200 degrees. Category 2A shop-fabricated tanks have spill control, but do not have continuous release protection. Tanks of this kind with a maximum capacity of 30,000 gallons and below can be inspected by the plant operator, but tanks containing more than 30,000 gallons need to also be inspected externally by a certified inspector every 35 years. Category 3A shop-fabricated tanks, which have neither continuous release detection or spill control, can be inspected by the plant operator if they contain up to 1,100 gallons of material, but tanks containing 1,100 to 5,000 need to be inspected externally by a certified inspector every 35 years; tanks containing 5,001 to 30,000 gallons, every 30 years; and tanks containing 30,001 to 50,000 gallons, every 25 years. Field-erected tanks, regardless of categorization, need to be inspected by a certified inspector externally every five years and internally, every 10 years. Portable containers of every category can be inspected by the plant operator. After determining your inspection schedule, it’s important to determine who will be doing the inspections and to set up a record system in advance of an EPA inspection. Bigham recommends checking out STI’s annual inspection checklist, individual tank inspection report, monthly inspection report, and annual inspection report, all of which can be found at steeltank.com. Bigham first recommends that you familiarize yourself with the facility and try to see it as a government inspector might see it. “First impressions are everything,” he added. Then, he suggests taking a fresh look at any permits the facility has, the SPCC plan, previous inspection reports, any records about the tank’s installation, and information available on the nameplate of the tank. “If you can read the information on the nameplate, you can search online to answer any questions you might have,” Bigham said. Check the foundation for settlement, cracking and general disrepair. Check the slope to ensure water is running away from the tank. Check the condition of the supports, cradles and rails. Check any welds against the tank shell. Check on all anchoring straps. Then, he recommends making sure the plant has a facility-wide lightning protection system and when the last authorized inspection had been done. Bigham said you should also check grounding straps, noting that although grounding straps and anchoring bolts can seem similar they perform very different jobs and you need both features in working order. Bigham said the next step is to check venting, both with normal and emergency venting, if applicable. Emergency venting is required for all AC tanks in a diked area and AC tanks (and other Class III b liquids) with a maximum capacity of less than 12,000 gallons. Then you should check the piping and piping supports to ensure they’re consistent with ASTM B31.3 and assess the condition of your AC valves and pumps. “Although we’re talking about the AC tank, we’re really talking about the entire AC tank system, which includes hot oil pipes,” Bigham added. Next, check to ensure that the gauges are readable and can be seen by the driver from the fill connection–which should be at least 15 feet from the tank–as he makes his delivery. “Overfill is the main cause of AC releases,” Bigham said, adding that the nature of the delivery hook-ups prevent spill boxes from being used effectively. Ensure your manual gauges are visible and operational and that high-level alarms (if used) are operable. You should also check secondary containment options, such as concrete, block steel, and soil or RAP berms; diversions; and remote impoundment. However, Bigham cautioned against using block for walls because they can be easily displaced during an earthquake or other event. You will also need to check shell thickness, which can be determined by the original tank documentation, labels on the tank, asking the tank manufacturer, or measuring the thickness at areas with no visible corrosion. Specifics on when tanks of each category need to be repaired or replaced can be found in the ruling. However, Bigham said this isn’t often an area of concern for AC tanks, since AC tanks without the required shell thickness are likely already replaced due to their inability to maintain the heat of the material. “I haven’t seen any AC tanks with any concerns regarding shell thickness,” he said. From shell thickness to size and temperature differences, SP001 now addresses the unique nature of ASTs. And, now, you know how to comply.